Keeping your dog hydrated is the single most important thing you can do for your dog. 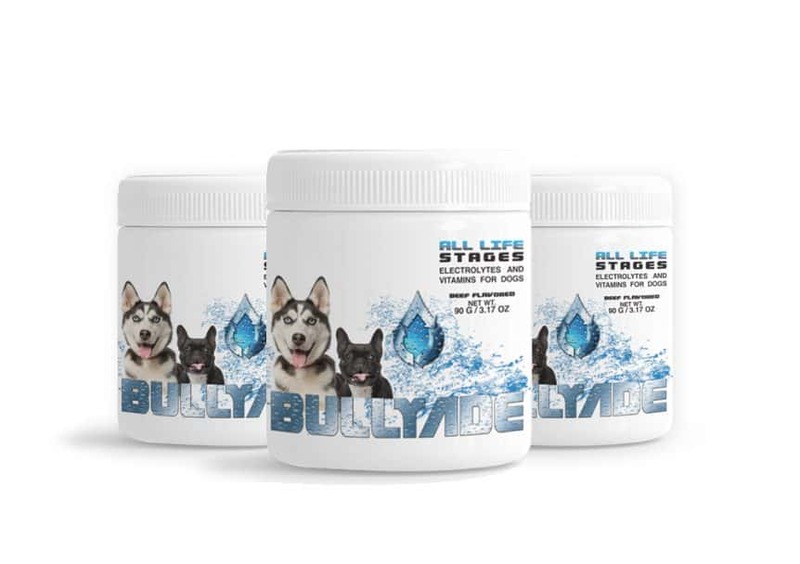 Bullyade helps dogs suffering from PARVO, COCCIDIA, DIARRHEA, or anything that causes DEHYDRATION. Its also a great PRE-WORKOUT for your pet. Isn’t it nice that now our best friends have better options then just water everytime.